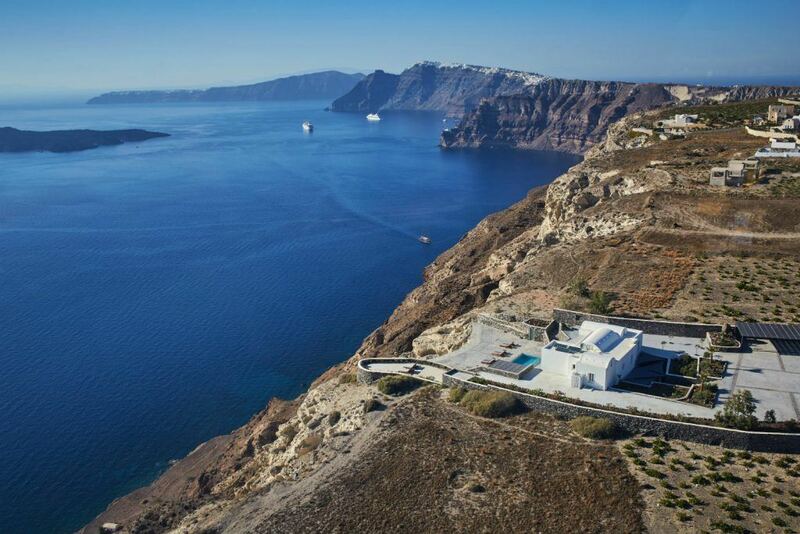 The Nafsika luxury Estate is your unique passage to the magic Island of Santorini. Drenched in lush vineyards and scenic mountainous coasts, this exclusive slice of the island is sure to take your breath away. 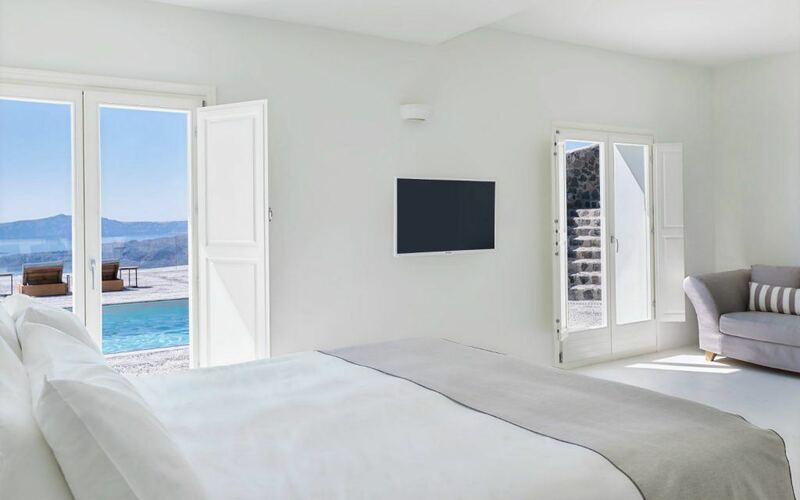 Constructed in its own unique, bespoke style; a fusion between Cycladic architecture and contemporary design, the Nafsika Estate provides both exceptional privacy and deeply captivating views of its surrounding volcanic environment. 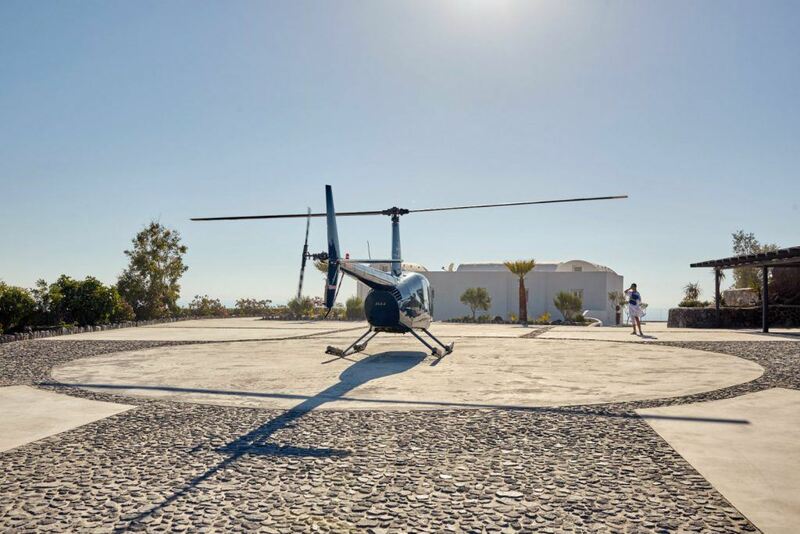 Spread across 350 square meters and complete with 5 bedrooms, the luxury residence sleeps 10 guests and provides fully serviced amenities; housekeeping twice daily, private butler, and executive chef –just as you would at a 5-star resort. Each floor of this two-level luxury estate are connected by stairwells both inside, and out. 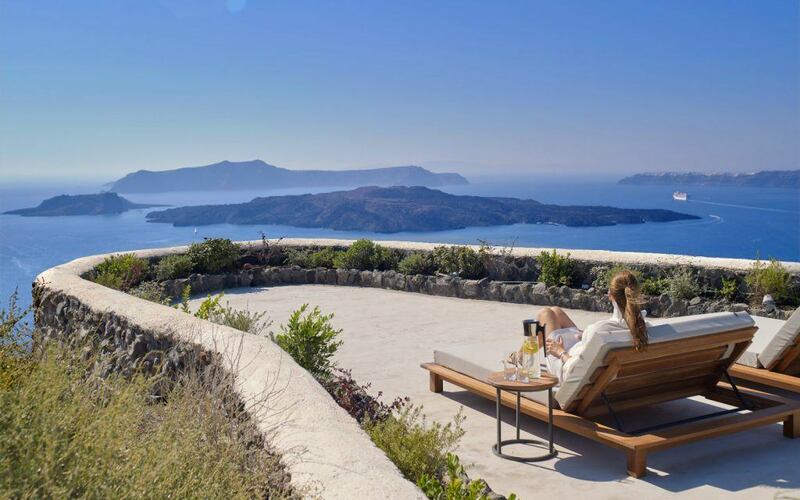 As the latest compliment to the Vedema Resort, Nafsika Estate stands within the quiet coastline of Megalohori Caldera and features a large outdoor viewing area featuring gardens, swimming pool, outdoor grill, and even a helipad for those more cavalier Greek holiday getaways. 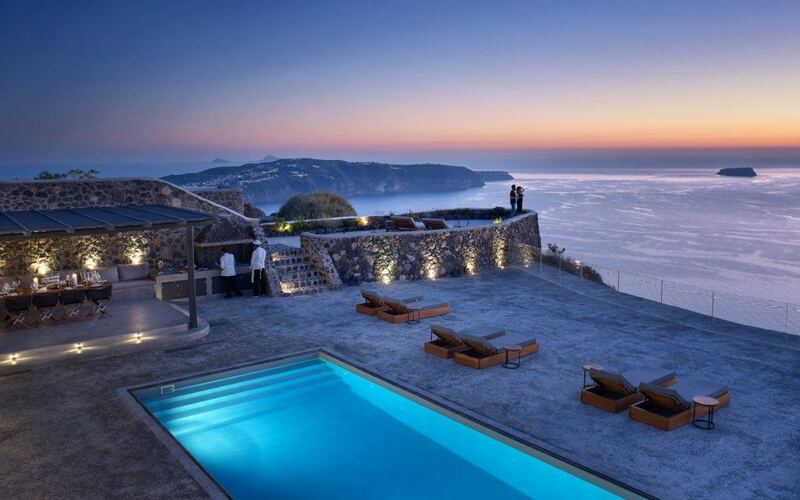 Surrounded by natural beauty and rolling down towards the Aegean Sea, the views which envelope the mountainside property create the perfect ambiance for any occasion during the day or evening.From romantic dinners to luxury wedding nuptials, the Nafsika Estate has more than sufficient space both inside and outside. 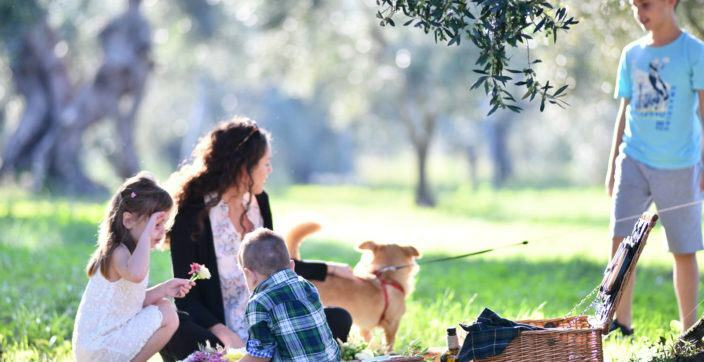 With space enough to accommodate such a wide variety of events, Nafsika Estate is appropriate for both romantic getaways and relaxing family vacations. 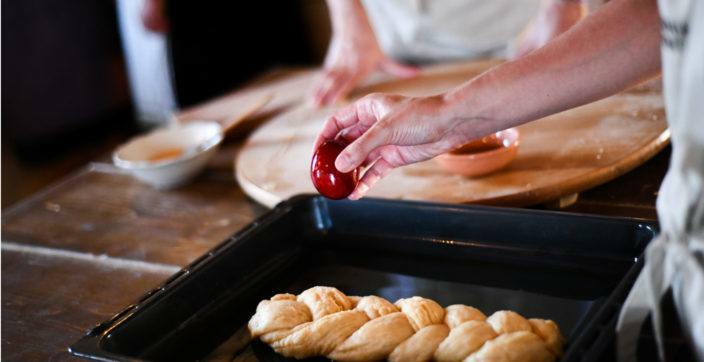 There’s always plenty of activities to do for nature lovers, and a million ways to be pampered for those looking to slip under cover and escape the complexities of life for a while. 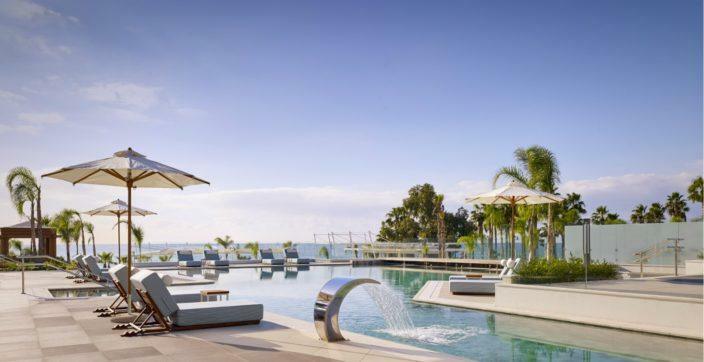 Take a dip in the swimming pool or enjoy the scenery; located nearby are opportunities for horseback riding, mountain biking, diving, canoeing, and much more. 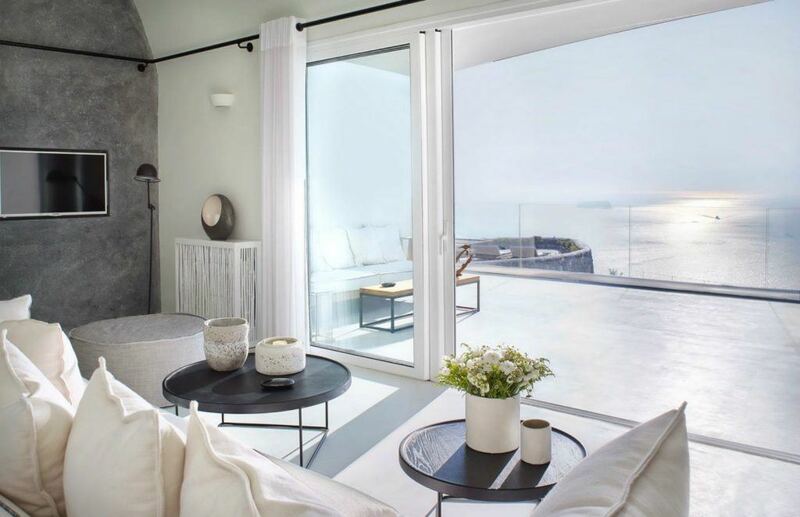 Experience the Island of Santorini surrounded in sophisticated elegance; call us for more information and reserve your island holiday getaway today.